For their own political reasons the Greek government seem to agree with the much-discussed new extension given by the European Commission to France to reduce its deficit below the established European limit of 3%. EURACTIV Greece reports. Last week, the European Commission granted France until 2017 to bring its budget deficit below the EU limit of 3 percent of GDP after Paris missed an already extended 2015 deadline. It decided that no sanction mechanism should be introduced on France for its excessive deficit. The move triggered the reaction of ALDE, which blamed the EU executive for special treatment towards the small and the big states of the EU. “This decision should raise the question why we treat big and small Member States differently? Why we ask huge reform efforts from Portugal, Ireland and Spain, and Greece, while the French government is given a free hand?”, wondered liberal MEP Sylvie Goulard. Greek MEPs commented exclusively to EURACTIV Greece on Commission’s decision and explained from a different angle the ratio behind it. Leftist Syriza MEP Kosta Chrysogonos, emphasised that the decision proved that the fiscal discipline was not realistic. “(The) European Commission’s tolerance towards France indicates how unrealistic the objectives of the agreed fiscal discipline are,” he said, adding that there should be changes to the rules. “Instead of having a selective tolerance toward the offenders, the problem should be addressed with a change to the rules […] Europe needs growth, not stagnation”, he said. Main opposition party MEPs of centre-right New Democracy seem to be divided over the issue. Unlike his partners from the German right-wing in the European People’s Party, who strongly criticized Commission’s decision [Read more], New Democracy MEP Giorgos Kyrtsos was in favour of France’s deficit extension “as already has happened with Greece for years”. 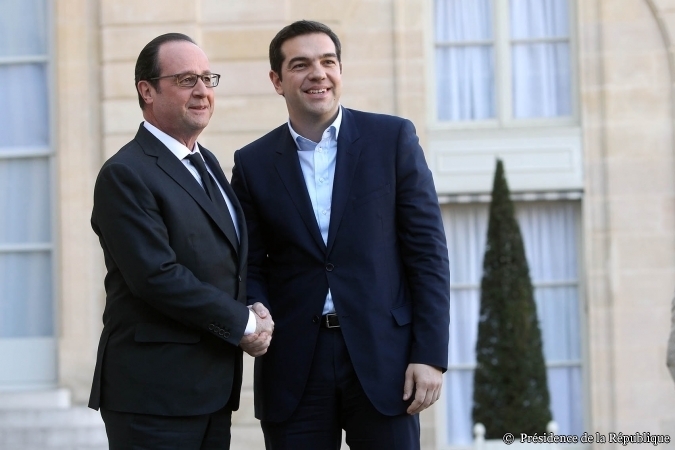 “I’m not opposed to the flexible approach on fiscal consolidation toward France. Similar flexibility was demonstrated and to other member states, such as Greece, which doesn’t have of course the specific weight of France in the Eurozone,” he noted, adding that the initial planning of the Greek bailout was covering the period 2010-2012 and “we are already in 2015 and the agreed measures have not been implemented yet”. New Democracy MEP Maria Spyraki was more critical, hinting that the EU executive has double standards. “The European Commission works with double standards when it is indulgent with France and at the same time remains rigid with countries like Greece, where the society has reached its limits,” Spyraki said. For his part, PASOK MEP, Nikos Androulakis, is fully in favour of the Commission’s flexibility toward Paris. “I think that the European Commission’s decision on France, which prioritizes the implementation of structural reforms and it is not limited just to taking fiscal measures, is in the right direction, “he told EURACTIV Greece. He added that European Socialists have always struggled for changing the way of thinking of the EU executive and expressed satisfaction that their proposals are finally implemented. “We should not forget that no blank check was granted to France. There will be a supervision of the European Commission on the agreed budgetary targets, as well as the reforms Paris was committed to deliver”, he concluded. The Commission evaluates the data and the Council decides what constitutes an excessive deficit. The Commission puts together a report, taking into account all the factors (economic conditions, reforms, etc.) that may be relevant for deciding whether the deficit is excessive. If the Council decides that a member state's deficit is excessive, it begins by making appropriate recommendations. The state concerned then has a precise timescale in which to bring the situation under control. If the state does not conform to the recommendations, the Council gives them formal notice to take measures to reduce the deficit. If required, the Council is able to hand out sanctions or fines, or to invite the European Investment Bank to review its lending policy regarding the state concerned. EURACTIV Greece: ??????? ? ????? ?? ?? ??? ???????? ??? ???????? ???? ?? ????? ?